Actually, it’s not a state, and it’s formally referred to as a federal district. It used to be a part of the state that’s now known as Maryland until the adoption of the Constitution of the United States back in 1787. The district was ceded to the government in 1791 to turn it into the country’s capital, which was then turned over to and governed by the legislature. From 1776 and 1800, the US Congress held a number of meetings, however there was no specific location where the federal government had its seat, and thus the establishment of a federal district became a priority. On July 16, 1790, a law called the Residence Act was passed, which allowed President George Washington to pick a place that would become the nation’s capital as well as assign three commissioners to oversee the project. He chose a 10-square-mile area within Maryland and Virginia, just beside the Potomac River. By 1791, George Washington had assigned the three supervisors, namely Thomas Johnson, David Stuart, and Daniel Carroll. Together, they oversaw the plans, designs, and property acquisition in order to build the federal district. Of course, the location was called “Washington” after the president. Washington then appointed Pierre Charles L’Enfant in 1791 to be the architect and civil engineer to make plans for the new city. The French appointee placed the US Capitol at the center of the entire layout, whose boundaries were defined by Rock Creek, the Anacostia River, and the Potomac River. Streets were numbered, grand avenues were named after Union states, and public circles and open spaces were named after famous Americans. Finally, in the 1800s, the seat of the government was transferred to the new city. By then, the District of Columbia was governed by a board composed of three commissioners, who also governed the unincorporated rural parts of the district. By 1802, this board was abolished by Congress and Washington City was created, which was granted limited autonomy and the power to elect the mayor and vote for the president. The Organic Act was passed in 1878. This provided for the appointment of three commissioners by the president. The District of Columbia Self-Government and Governmental Reorganization Act finally followed in 1973, which established the system of voting used by residents in the district today. 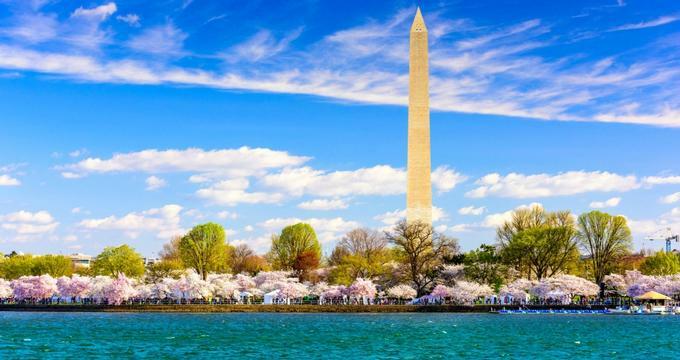 What makes the District of Columbia different from a state? As the 10th Amendment goes, all powers that are not given to the federal government are thus given to the states and their own people. The issue with the District of Columbia is that even though it has its own municipal government, it is financed and funded by the federal government and thus depends on Congress in order to have its laws and budgets approved. Since 1964, those who live in D.C. can only vote for the president, mayor, and city council members. Also, unlike other states, which can appoint their own judges, the judges of the district court are all appointed by the president. Will the District of Columbia become a state? Those who live in the District of Columbia have always had representation issues. The people, numbering about 600,000, all pay taxes just like everyone else, but they’re not getting the same kind of representation within the Senate or the House of Representatives. All they get is a non-voting delegate within the House of Representatives and a token Senator. This is why, over the years, the residents of the district have lobbied for statehood and, consequently, full voting rights. So far, they haven’t been successful and, sadly, more than half a million Americans still can’t fully exercise their right to vote. Why is statehood so difficult to achieve? - 1961: Residents were given the right to vote for the president (23rd Constitutional Amendment). - 1973: The District of Columbia Home Rule Act was passed, allowing residents to vote for their mayor and city councilors. For many years after, people continued to petition, protest, and file cases to allow them to improve their voting status. But their efforts remain unsuccessful. The other reason why this is such a thorny issue is because it is partisan in nature. Republicans have an interest to block such changes because they know that the District of Columbia is largely made up of Democrat voters (i.e. 90%), which means that giving them full voting rights would greatly benefit the Democrats. Unfortunately, this comes at the cost of the district being neglected, especially regarding appropriations. Of course, none of this matters to some elements of Congress. After all, if they can’t even agree on numerous existing laws, you can’t expect them to care much about people who can’t vote. - Sign the petition for the change. - Call the White House and tell them you’re supporting the cause. - Call a member of Congress and urge them to pass the DC Voting Rights Act. - Tell others to do the same. Make sure to also support DC Vote, an organization with the goal of strengthening democracy and enabling equal rights for those who live in the District of Columbia. The organization works by creating proposals that will help the cause. People from all walks of life join to help out in any way they can. After all, more than half a million Americans live in that district – they all deserve the right to be represented just like everyone else. How Long Does It Take to Get TSA Pre-check?